Live Healthy: Why do I gain fat when I exercise more? 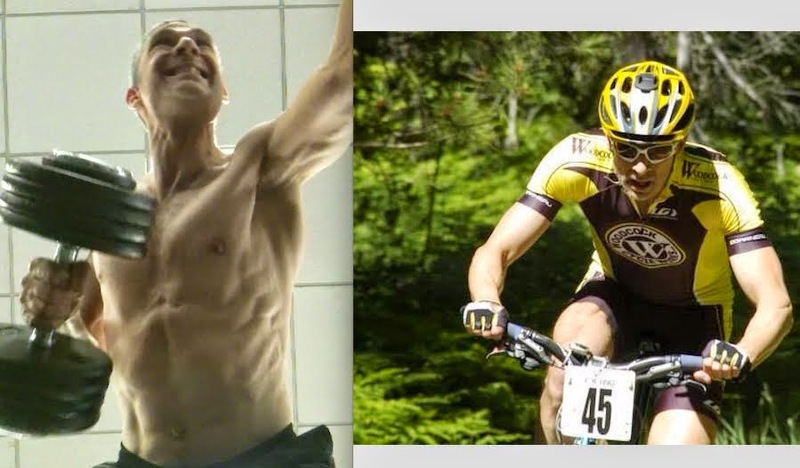 A reader (KM) who is an avid cyclist asked me, "why do I gain weight only when cycling?" She's not your average ride-the-bike-path-on-Sunday rider, she's into competitive cycling. She'll burn far more calories cycling than the average spin class enthusiast or recreational rider. Whenever we have a question of weight gain we must always default to the singular reason for weight gain: eating too much. Consuming more calories than we burn off. Once we set ourselves straight with that we start looking for where and why we're over consuming. KM's mystery is not uncommon, and thankfully not really a mystery. What we're looking for is KM's motivation and reasoning to eat during the cycling season. With knowledge that the extra calorie burn is happening a reasonable increase in food intake is used to keep up with increased demand. The increase needed is simply overestimated. If this is the beginning and end of the story the situation will be remedied quickly by eating less. More accuracy helps so a visit to eatracker.ca for food diary analyses is a good idea. Measure the calories in and out and you'll have a better idea of what the right amount of food looks and feels like. The extra exercise stimulates the person to get excited about overeating. This one is very common. Overeating is already a common reward that is shared socially. This is traditionally over-emphasized in sport where it isn't uncommon to celebrate post competition or post practice with excess food. The excess food is not perceived as negative but rather a positive and a necessity to complete the social experience of the physical activity. A competitor will usually be teased if they don't participate in the overeating so there is social pressure to comply with overeating. It's also not uncommon to transfer the competitive nature from sport to eating with many athletes boasting about how much they can pound down after training or competing. This further exaggerates the reward emphasis placed on overeating. When an expected rewarding outcome of physical activity is to overeat, the exerciser typically feels compelled to do the exercise not only to compete or train, but also to overeat afterwards. The deep driver for all of this is the reward association with food. It's good to have a healthy reward association with food, but research has shown that it's easy for us to miscalibrate the reward importance and develop the sense that overeating is very important. Here's an article I did on emotional miscalibration a few years ago. I cover interesting research on the subject. Reward seeking is one of the most powerful motivators. Once the brain gets a sample of something rewarding it will cause behavioural adaptations to seek out the reward again. The person will feel compelled to seek out the reward but also to generate reasoning that justifies the reward, even to the extent of irrational reasoning. An example might be being in a fatigued state where training should be replaced with recovery but because of a special dinner where overeating is anticipated the person will choose to add exercise even though it will cause more fatigue. The benefit of overeating is perceived as more important than proper recovery from training. Once this becomes habituated it is often very challenging to reverse. Reversal involves self-talk, self aware cognitive processing, and outside help from friends, family or professionals doesn't hurt either. It can take several months to overcome habituated reward, even years if there are lengthy periods of regression before a solid stint of 4 to 8 months of practice is realized. Often we don't process the the sequence of feeling hungry and responding with eating. We just eat because we feel compelled to eat. The steps to reversing KM's dilemma begin with being able to capture the moment and process, "I might be over serving myself here, I should eat less". If it turns out KM is strongly influenced by the more common reward association, social pressure, and reward seeking aspect then additional self-talk steps are needed..
"I get that I really want all this food, but I now realize the reward I feel is disproportionate to how much I choose to eat. I'm going to eat less and feel good about it"
Whatever we tell ourselves will differ from person to person, but it will be something along those lines. Beware: strong socially supported reward seeking is a tough contender. We're pretty good at employing denial and redirection to avoid correcting the behaviour.